2017 marks the last year of this generation’s seven year run. It has sold very well in the compact class. For good reason, it offers excellent reliability and class-leading performance with V6 equipped models. We’re excited for the completely redesigned 2018 model, but there isn’t enough information available yet to provide you with an adequate review. We think the Terrain is an excellent buy in the used market, as little has changed over the last several years and few problems have been identified. The Terrain’s value lies in its rock solid reliability reputation. It is one of the most reliable SUVs we’ve reviewed. It received a perfect score from JD Power, something many of the Japanese competitors can’t claim. The all-new 2018 model hasn’t received ratings yet. If it can continue to prove reliable, the more efficient 2018 model will be a strong competitor in the segment. The main drawback to the 2017 and earlier models is lower than average fuel efficiency in the V6 and anemic performance out of the 4 cylinder engine. However, the upscale interior, exterior, and comfortable second row make the Terrain an attractive choice. The money saved on repairs can be used to buy extra fuel in the V6, which delivers class-leading performance, albeit a bit unrefined. The base 182 horsepower 4 cylinder engine struggles to motivate this two ton SUV, we’d opt for the V6. The V6 makes 301 horsepower and propels the Terrain from 0 to 60 mph in 6.3 seconds, quick for a class full of uninspiring 4 cylinders. However, power comes at a price, the torque peak is sky high at 4,800 rpm which means you have to really wring out this engine to get good performance. The consequence is piss poor fuel economy at around 16 mpg in the city. That’s worse than some V8 large SUVs. Perhaps this is the reason why the 2018 Terrain receives 3 completely different engines, all turbocharged, including a diesel. We’ll update this review with 2018 information as it becomes available. The Terrain doesn’t handle poorly for its size, but many competitors are much lighter and therefore fleeter of foot. The dual dampers in the Denali version make things a bit better, but we don’t think the V6 AWD Denali’s $41,125 sticker is worth the money. If we had to choose a Terrain, it would probably be an SLT equipped with a V6. 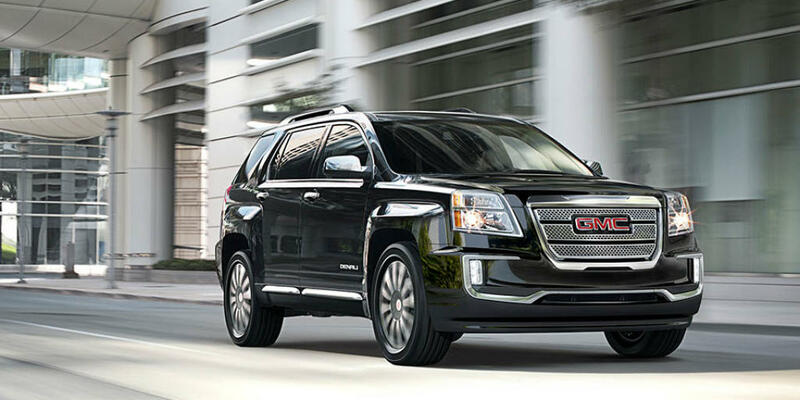 Despite its shortcomings, the GMC Terrain is the brand’s second best-selling model, behind the Sierra. If you’re unconcerned with fuel efficiency, the V6 Terrain does offer rather impressive performance for its class. The Terrain is the largest SUV in the compact class. As a result, it has ample interior room. The sliding and reclining second row are one of the best in the class. Even the cloth seats are comfortable and supportive. The high driving seating position provides excellent vision, though the wide B pillars create a large blind spot that can be mitigated by buying the Driver Alert Package I with blind zone alert. The top two trims add leather seating and superior materials that give the Terrain a premium ambiance. All Terrains come standard with a rearview camera that eases stress while parking. Also standard is Bluetooth connectivity and GM’s solid IntelliLink infotainment system. Available upgrades are an 8-speaker Pioneer premium audio system, Wi-Fi hotspot, sunroof, heated seats, and a suite of advanced safety features. A respectable 63.9 cubic feet of overall cargo space is available, 31.6 cubes with second row up. This is enough space for most, but some competitors have up to ten more cubic feet of overall cargo space like the Honda CR-V. We think the Terrain provides an impressive interior with all the modern features most would want and one of the best second rows in the compact crossover class. The Terrain’s appearance hasn’t changed much since the 2011 redesign and is beginning to look a bit dated. However, the boxy, symmetrical design is distinctive in a class full of racy looking compacts that don’t have the performance to match. The more recent model years receive LED lighting that improves the Terrain’s curb appeal. A large front grille and domed hood add to the masculine aesthetic the Terrain embodies. The V6 models receive dual exhaust ports that succeed in making the Terrain look rugged and mean. The flared side fenders enhance the Terrain’s wide stance. If you don’t like the Terrains look now there is good news, an all-new 2018 model has just dropped and has a much more modern design. We hope this model will perform as good as it looks, stay tuned for updates and share your thoughts with us below. The National Highway Traffic Safety Administration awards the Terrain a 4-star overall rating, with 4-stars in both the frontal and rollover crash tests. This rating is slightly below average for the compact SUV class. The Insurance Institute for Highway Safety offers “Good” ratings in all crash tests, their highest rating. However, they do rate the Terrain’s headlights as “Poor” and the available safety technology as “Basic.” Basic safety technologies like blind spot monitoring and rear parking sensors are costly options and only available on the top three trim levels, disappointing in a class where many competitors include these features standard. We’re surprised by the lower rating, considering the larger Acadia receives a “Top Safety Pick+” designation and a “Superior” safety technology rating with the same or similar components. We think the Terrain provides an adequate level of safety, on the lower end of the compact SUV class. The Terrain receives a predicted reliability score of 4 out of 5 from Consumer Reports. This is an above average score and Consumer Reports documents noticeable improvement since 2012 and recommends avoiding the 2010 and 2011 models. JD Power awards the Terrain an incredible 5 out of 5 predicted reliability score, a rarity that signifies reliability among the best in the industry. Further research turned up few complaints. 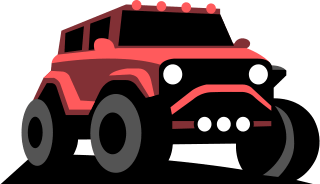 The National Highway Traffic Safety Administration has many Technical Service Bulletins issued for the Terrain, but most of them appear to be general General Motors issues, not necessarily affecting the Terrain. There are 3 complaints filed with the NHTSA for the 2017 model. Two are for the side blind zone alert that indicates a car’s presence when there isn’t a car while driving in the rain. The third warns that the forward collision warning may not detect certain vehicles like semi trucks. We tried hard and couldn’t find faults with this SUV. We think the Terrain’s reliability is one of its greatest strengths and will likely save you plenty of money. We think the Ford Escape is an excellent alternative to the GMC Terrain. The Ford doesn’t offer some of the advanced technology available in the Terrain, but it makes up for it in refinement. The Terrain’s interior is better than most in the class, but the Escape has quite possibly the best! The ride quality and quiet cabin in the Escape are comparable to many German competitors. The 2.0 Liter twin scroll inline 4 doesn’t offer quite the performance that the Terrain’s V6 offers, but it’s much smoother and significantly more efficient. Though it’s a second slower to sixty, the much wider power band makes the Escape feel much quicker in real world driving. The available SYNC 3 infotainment system comes standard with Apple Carplay and Android Auto that IntelliLink lacks. The top trim Titanium Escape with the 2.0 Liter EcoBoost engine can be had for thousands less than the V6 Denali and feels even more upscale. Also standard in the Titanium trim is an automatic parking system that parks this SUV for you, much better than the available surround view camera in the Denali. If you need a Wi-Fi hotspot, the Terrain offers one in all but the base trim. Otherwise, we’d recommend most Escape models over the Terrain. The base SL starts at $24,070 with a rear vision camera, 2.4L inline 4 cylinder with variable valve timing, tinted windows, remote keyless entry, cruise control, 6-speaker audio system, USB port, Bluetooth, daytime running lamps, and premium cloth seats. The SLE-1 trim adds the availability of many options but very little besides heated power-adjustable mirrors, SiriusXM satellite radio, and rear floor mats for $27,300. A 3.6 Liter V6 is available for $1,500. The SLE-2 trim adds availability of advanced safety features and automatic climate control, chrome roof rails, a Pioneer 8-speaker premium sound system, IntelliLink infotainment system, 8-way power-adjustable driver’s seat, leather-wrapped steering wheel, and upgraded LED daytime running lamps. A 3.6 Liter V6 is available for $1,500. All Wheel Drive is available for $4,980 A $650 dollar Convenience Package adds heated seats and a remote starter. The Driver Alert Package I adds rear park assist, rear cross-traffic alert, and side blind zone alert for $790. The $295 Driver Alert Package II equips forward collision alert and lane departure warning. Both these plus Navigation comprise the Technology Package for $1,395. The $795 Nightfall Package adds a charcoal grille with gloss black surround and accents, black front and rear fascia accents with gloss black license plate trim, body-color door handles, charcoal luggage rails, black power-adjustable mirrors, and 189n aluminum wheels with gloss black accents. The Chrome Edition is available for $995 extra and provides chrome handles, chrome mirrors, remote start, and heated front seats. A 3.6 Liter V6 is available for $1,500. All Wheel Drive is available for $1,750. The $30,920 SLT trim adds a remote starter, chrome exterior appearance, chrome door handles, chrome heated mirrors, perforated leather-appointed seating, and heated front seats. All Wheel Drive is available for $1,750. A 3.6 Liter V6 is available for $1,500. The Open Road Package adds a power sunroof, power liftgate, rear park assist, rear cross-traffic alert, side blind zone alert, universal home remote, and color touch Navigation with Intellilink for $2,085. The Driver Alert Package I adds rear park assist, rear cross-traffic alert, and side blind zone alert, universal home remote, and rear power-programmable liftgate for $1,385. The $295 Driver Alert Package II equips forward collision alert and lane departure warning yet requires purchase of Driver Alert Package I. The $795 Nightfall Package adds a charcoal grille with gloss black surround and accents, black front and rear fascia accents with gloss black license plate trim, body-color door handles, charcoal luggage rails, black power-adjustable mirrors, and 189n aluminum wheels with gloss black accents. The Denali trim equips side blind zone alert, rear cross-traffic alert, rear park assist, forward collision alert, lane departure warning, power liftgate, and memory settings for $34,725. All Wheel Drive is available for $1,750. A 3.6 Liter V6 is available for $1,500.